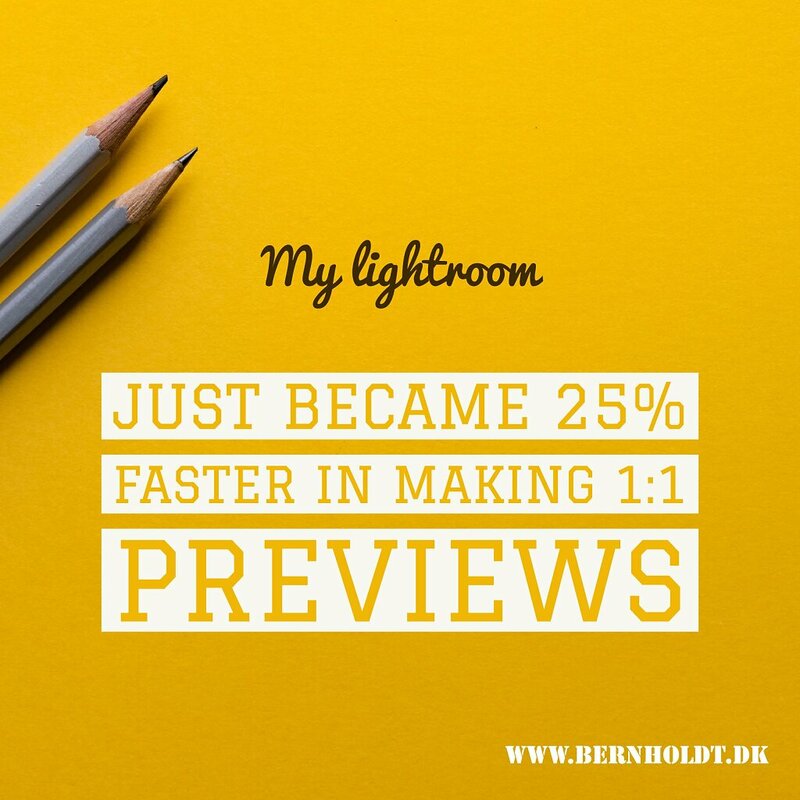 Building 1:1 previews certanly speeds up your lightroom workflow, it just takes ages and usually if you are like me you can't wait to get into developing those new masterpieces, especially if you have your cards full and have to import a few hundreds or even more. In my situation this usually took about an hour or two sometimes after sporting events even longer because I mostly work on a laptop with limited harddrive space I work on a external super fast usb 3,0 SSD drive. This got me thinking if I somehow could move my preview data to a faster internal drive, and maybe even save some space on my external drive? Adobe dosent allow the user to manually choose location of the previews so instead I decided to give symbolic links a go. D:\ All my program installations and sync folders google drive etc etc. F:\ Holds all all my lightroom catalouges, settings, presets and plugins. P:\ My scratch disk a 75gb SSD drive, only used for cache and now preview files. The drives we are F:\ and P:\ drive. I shoud say that before doing this if you work on more than one computer Laptop and stationary you have to ensure that the drives are setup in the exactly the same structure. Copy that entire folder to your faster harddrive or secondary location and just as a precaution rename the old folder to F:\Lightroom Catalouge 2017\Lightroom Catalouge 2017\Lightroom Catalouge 1 2017 Previews.lrdata.bak to make sure if anything goes wrong you won't have to recreate all your preview files again. The command should look like this execpt for the folder paths taht should match your setup. mklink /D "F:\Lightroom Catalouge 2017\Lightroom Catalouge 2017\Lightroom Catalouge 1 2017 Previews.lrdata" "P:\Adobe Cache filer\Lightroom Previews\2017\Lightroom Catalouge 1 2017 Previews.lrdata"
If you are working on several computers make sure you have the exact same folder structure and sync he preview data between the 2 computers for a worry free workflow.